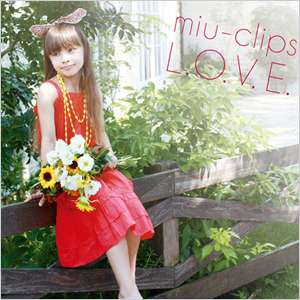 Young and spirited creator and producer, Yoshifumi Ato's solo music project, "Miu -Clips", released new album, "L.O.V.E.". Yoshifumi has been built his career as a composer, producer, engineer and musician based in Tokyo since 2000. "L.O.V.E." EP version was released on iTunes before and came up to NO.1 on dace music chart. This album contains a couple of popular tracks, such as "L.O.V.E. ", "FLOWER", and incredible cover of "Sunday Morning" by Maroon 5 and "I Want You Back" by Jackson 5.